Simplicity. Shaker furniture is marked by a truly simple, functional design. Gentle Curves. 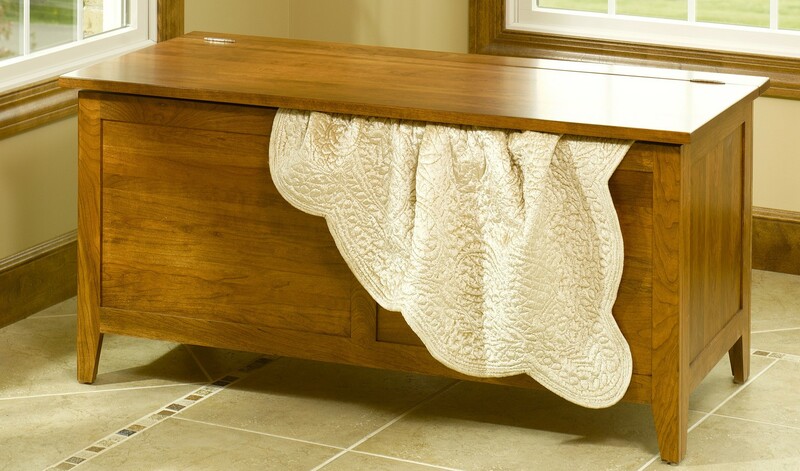 The flared back or curved legs of a dining chair or blanket chest add a touch of elegance to the simple Shaker style. Knob Hardware. Typically painted black, knob hardware stands out as one of the distinguishing traits of Shaker furniture. Spindles/Slats. These features are generally more delicate and less muscular (though no less sturdy) than the Mission style. So to learn more about Shaker furniture, visit Brandenberry Amish Furniture. Or visit our ‘brick an mortar’ store in Shipshewana, Indiana. And see firsthand what makes the beautiful Shaker style so beautiful. And so desirable.